Sauk Centre: Upon approaching one fish shelter CO Silgjord could hear the occupants talking about how “good their weed was.” After making contact with the anglers they immediately admitted to using marijuana. Enforcement action was taken. Slayton: 2014 remains a banner year for transporting loaded firearms to the very end. A complaint of pheasant hunters shooting a house and breaking a window was investigated. Carlton: Also a report of a deer being poached in the Alborn area was investigated. A deer was shot off the road and taken off of private property. Anyone that might have information on this case is asked to call TIP (800-652-9093) with the information. An investigation is still ongoing with deer parts that were dumped of an area road near Esko. Most of the meat was wasted on this deer. CO Ben Huener (Roseau) checked anglers on Lake of the Woods and the Roseau River. Fishing on the Big Lake was good during the week before the weekend when it slowed down after the cold front. Enforcement action was taken on anglers using too many lines, over limits of walleyes/saugers, and one individual operating a pickup on a state grant-in-aid snowmobile trail. CO Hannah Cowden (Warroad) spent most of the week out on Lake of the Woods. Fishing activity is still fairly slow, causing some people to be pretty desperate to catch some fish. Time was also spent following up on trapping complaints in and around the Beltrami Island State Forest. Violations included no angling license in possession, angling with extra lines, unattended lines, and possession of both a small amount of marijuana and drug paraphernalia. CO Nicholas Prachar (Baudette) worked on Lake of the Woods and the Rainy River. Enforcement action included fishing without a license and no license in possession. CO Jeremy Woinarowicz (Thief River Falls) worked a detail on Lake of the Woods focusing on angling enforcement. A recent cold front limited angler success. A complaint of illegal dumping of deer carcasses was investigated and an incidentally caught fisher was seized. Enforcement action for the week included angle with extra line, angle with unattended lines, no valid fishing license, possess small amount of marijuana and drug paraphernalia, allow illegal operation of ATV by juvenile, possess dressed fillets on special regulation water, and angle while privileges revoked. CO Tom Hutchins (Crookston) reports spending time checking ice anglers on area lakes. Anglers are reporting catching crappies, sunfish, and a few northern. Time was also spent checking ATV operators and predator hunters. CO Brice Vollbrecht (Bemidji) checked fisherman on area lakes. Ice conditions continue to improve and angling activity has increased. Time was spent working on Upper Red Lake with CO Holt. Several limits of walleyes were observed while on the lake. A report of a vehicle going partially through the ice was reported on Gull Lake near Bemidji. Anglers are reminded to use caution when traveling on the ice. CO Brian Holt (Bemidji) worked angling and trapping activity during the week. Time was spent working on Upper Red Lake with Officer Vollbrecht. Enforcement activity included angling with extra lines, angling with no license in possession, possession of illegal length walleye, expired snowmobile registration, and possession of drug paraphernalia. CO Al Peterson (Osage) worked trapping enforcement, anglers and follow-ups on pending cases. Two new complaints of illegally taken deer were reported. Follow-up investigations continue. CO Gary Forsberg (Pelican Rapids) spent the week checking fishermen, working on a fisherman trespass complaint, trapping complaints and tagging furs for area trappers. An investigation was also opened on an illegally taken deer. CO Angie Warren (Detroit Lakes) worked angling and ATV activity on area waters with many anglers using ATVs on the ice. Ice conditions continue to vary and the public is reminded to use caution as an ATV and rider went through the ice in Otter Tail County. Luckily the rider received no injuries. CO Warren followed up on a possible grey wolf depredation of a cow. A deer permit was issued for a car hit deer. Questions were answered in regards to ice fishing regulations. CO Bill Landmark (Moorhead) monitored pheasant hunting and ice angling activity. The officer observed that angling activity increased over the week with panfish anglers having some success. Many anglers were reminded that they are required to have their fishing license in possession. Anglers are also reminded they need to have identifying information on their permanent fish houses if left on the lake unattended overnight. The officer also fielded calls from the public regarding trespassing and dispatched an injured deer. Enforcement action was taken for unregistered ATVs, angling without license in possession, fail to display shelter license tag, and unmarked fish houses. CO Troy Richards (Fergus Falls) reports ice conditions improved with colder temperatures. Anglers are reporting mixed results on area lakes. 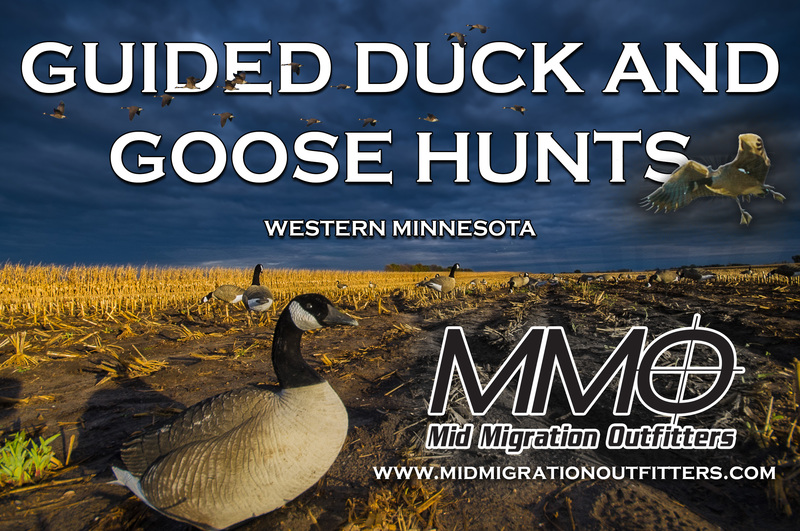 Goose hunters were checked during the last week of the season in the northern zone. Enforcement action was taken for waterfowl and angling violations. CO Tricia Plautz (Henning) spent time working two different trapping complaints. Plautz checked ice fishermen with minimal success. The officer is finding garbage on area lakes. Fishermen are reminded to clean up after themselves. Plautz reports a truck went through the ice on West Leaf Lake with occupants all getting out safely before the truck sank in over 40 feet of water. Several violations of improperly marked fish houses and not displaying shelter tags were encountered. Other violations were fishing with extra lines and fishing without license in possession. CO Paul Nelson (Elbow Lake) primarily checked fishermen, shelters and ATVs. Ice conditions vary from 10 to 12 inches of ice with some open spots on area lakes. Several questions regarding the new AIS online trailer training and boat registration renewals have been handled. CO Shane Osborne (Evansville) checked fishermen and trappers. Several trapping complaints were received and investigated regarding trappers not checking their traps in a timely manner and not having identification on them as required by law. Fishing activity should pick up with the cold weather. CO Mitch Lawler (Alexandria) worked ice fishing activity this past week, as well as ATV enforcement. Lots of anglers checked in both Douglas and Pope counties, with several citations issued for numerous fishing and ATV registration violations. Fishing with extra lines and unattended lines seems to be the biggest problems. Questions about trespassing and access to land locked lakes were also answered. CO Jeff Johanson (Osakis) spent time on area waterways monitoring fishing and ATV activity. Pheasant and varmint hunters were checked and trapping activity was monitored. Follow up was completed on open deer cases and local law enforcement was assisted on calls for service. CO Tony Anderson (Morris) focused enforcement efforts on ice fishing activity and ATV operation. A TIP investigation was completed in Traverse County regarding a possible illegally taken deer. An angler harassment complaint was also worked in the vacant Wheaton station on Lake Traverse. A trespass call was handled in the Glenwood station as well as calls about coyote hunting and ice fishing questions. CO Paul Parthun (Lake George) focused on ice fishing and trapping. Some accidental trapping catches were handled and meetings were held with local prosecutors. Enforcement action was taken for no shelter ID and having an illegal trap set. CO Sam Hunter (Park Rapids) checked fishermen. Officer Hunter responded to a vehicle in the water north of Park Rapids where a truck had slid off the road and into the water. Officer Hunter received a call that an ATV and ice castle fish house had gone through the ice. CO Greg Oldakowski (Wadena) checked anglers around the area. Ice conditions improved over last week, but some heaved areas are still dangerous. Anglers are reminded that all ice houses are required to have identification on them. Trapping and small game enforcement activities were monitored with the bobcat season still on. CO Gary Sommers (Walker) focused on trapping, and sport fishing activity. Nothing unusual to report. Received calls regarding an injured owl, fish house marking requirements, ATV registration decal that wouldn’t stick, and cutting vegetation in a wetland. Dealt with a legally harvested wolf which was not presented for registration. CO Beau Shroyer (Remer) continued working on trapping cases. A citation was written for failure to tend traps. CO Duke Broughten (Longville) spent the week focusing on trapping, spearing, and ice angling activity. Ice anglers continue to report poor success. Snowmobilers are waiting anxiously for snow. CO Broughten investigated a complaint of an abandoned boat found in the ice on Woman Lake. CO Broughten also assisted the State Patrol with an individual that fled on foot. Enforcement action included: no angling license in possession, fail to display ATV registration, fail to renew ATV registration, fail to display snowmobile registration, and possess drug paraphernalia. CO Jeff Halverson (Staples) worked the ice fishermen. Warm weather still has fishermen nervous but cold temps are very much a welcome site to make lakes safer. CO Colleen Adam (ATV REC) worked on cases from the firearms deer season. Officer Adam responded to a report of an ATV and full-size wheel house that went through the ice. Warm weather and rain played havoc on the ice. In particular over a shallow sand bar area one crack turned into 4-12 feet of open water from shore to shore. Contact with the ATV operator indicated the previous evening after dark he attempted to move his fish house from one side of the lake to another. Thankfully he was able to self-rescue and walk to a nearby lake home. CO Jim Van Asch (International Falls) continued to conduct follow up investigation from deer season and monitored angling activity in the area. Preparations for upcoming snowmobile safety classes were taken care of. CO Van Asch also answered questions from the public regarding spearing, angling, and snowmobile regulations. CO Troy Fondie (Orr) reports rain during the week limited outdoor activities and snowmobile trails are down to dirt, grass and exposed rocks. Little snow cover remains on area lakes and snowmobile activity is non-existent. CO Brad Schultz (Cook) reports not much outdoor activity taking place in the area last week. A few snowmobiles were observed operating on Lake Vermilion; however, the snow conditions remain poor. CO Marc Hopkins (Tower) spent the week working area lakes, and the bite was pretty slow. A call came in on a possible wetland violation, and flooding issues with the thaw; it is still under investigation. The sentiment in the Tower area is that we need snow so the trails can be utilized by snowmobilers. CO Don Bozovsky (Hibbing) concentrated work efforts on angling, small game and archery deer hunting activity. The officer also dealt with an accidentally caught fisher caught in a bobcat set and responded to a call of an injured wolf. CO Matt Frericks (Virginia) spent time checking anglers on area lakes. Nicer temps earlier last week brought out high numbers of anglers and ice shelters to area lakes. Enforcement action was taken for unmarked or improperly marked ice shelters. Very few snowmobilers were seen out. CO Frericks reminds all owners of snowmobiles to check their registration and make sure it’s up to date before they take their sleds out. CO Frericks investigated the report from a trapper who located several untagged and unchecked snares. After meeting with the trapper and visiting the site, the snares were seized. The owner of the snares was eventually located and admitted he left the trap tags off some of his snares and did not check them as often as he should. The owner of the snares was issued a citation. CO Mark Fredin (Aurora) checked fishing on area lakes and found a few anglers getting crappies. A complaint was received of possible shinning on hay fields. An accidental caught fisher was taken care off. CO Sean Williams (Ely) reports that the long Christmas Weekend saw a sharp increase of activity in the Ely area for both fishing and snowmobiling activity. Although activity was up angling success seemed slower than in previous weeks. Snow conditions are still poor for snowmobiles but most lakes were showing a fair amount of traffic. Violations included operating an unregistered snowmobile, and operating a snowmobile without required equipment. CO Marty Stage (Ely) reports many visitors were in the Ely area over the Christmas Holiday. Lots of people out riding their machines. Make sure to register your snowmobiles, ATVs, and fish shelters (when required), before riding out into the great outdoors. Fishing was slow, but some people reported doing okay. So far the lack of deep snow this winter should be good for the deer. CO Darin Fagerman (Grand Marais) patrolled remote lakes by snowmobile during the week and found fewer people out. Colder weather will help to freeze up the slush that has appeared. The officer prepared for an upcoming work detail for the BWCA stream and lake trout season for lakes entirely within the BWCA which opens on January 1st. CO Mary Manning (Hovland) assisted a Swiss family who tried to drive an unplowed forest road in their car on one of the coldest days this month. The officer located the abandoned vehicle, and then found the family walking about two miles from it. Several folks contacted offered warm vehicles and rides to a nearby dining establishment and a local logger used his skidder to pull the car out and save the day. Snowmobile trails have a nice base and are clear of deadfalls, but remain rough and ungroomed due to lack of snow. Slush is a problem on some lakes, but the weekend cold snap should help get more anglers back on the ice. CO Anthony Bermel (Babbitt) worked a busy holiday weekend of primarily angling and spearing enforcement. Complaints of ATV’s operating on snowmobile trails and unsafe ATV operation were worked. Enforcement action included angle with an extra line, no shelter license, no angling/spearing license in possession, unregistered snowmobile, fail to transfer ownership, and ATV equipment and operation violations. CO Don Murray (Two Harbors) worked trapping activity and followed up on illegal deer baiting cases. Ice conditions continue to improve and anglers are enjoying the slush free conditions but the lack of snow has kept snowmobile activity to a minimum. Questions were answered on new wolf regulation. CO Jayson Hansen (Bigfork) checked anglers on area lakes. He worked on preparing small game and big game cases for court. CO Hansen also completed some Division training at Camp Ripley during the week. CO Mike Fairbanks (Deer River) checked anglers, monitored spearing activity, worked trapping complaints and assisted the patrol with a search for a person who fled on foot. Angler success was good on area lakes. Enforcement action was taken for give false name to a Peace Officer, driving after revocation, no angling license in possession and an arrest was made for outstanding warrants. CO Sarah Sindelir (Grand Rapids) checked anglers and trappers this past week. She took several calls concerning car kill permits for deer. She also took a call regarding a four- wheeler going through the ice on Pokegama Lake by Stony Point. Please use caution on the lakes. Even though ice may be sound in one area, there are pressure ridges and other factors that can keep ice thin in other areas. She is currently investigating a trapping complaint. CO Gary Lefebvre (Pengilly) worked fishermen, trappers and small game hunters. He also handled a littering and TIP complaint during the week. CO John Velsvaag (NE Region 2 ATV Officer) checked ATVers this past week as snow conditions deteriorated. CO Velsvaag also checked anglers and a few snowmobilers. Ice conditions have greatly improved in the last few days and more trucks are out on the lakes. CO Randy Hanzal (Duluth) reports large number of anglers are being seen on area lakes as good ice conditions continue to allow access to most traditional winter fishing spots. Angling without a license in possession, angling without a license, angling with an extra line, spearing without a license, no shelter license, no display of registration and litter were a few of the violations encountered last week. A trapping violation was also worked during the week. CO Kipp Duncan (Duluth) continued to spend time working on trapping enforcement. Some fishing enforcement on area lakes was also worked. Time was spent following up on a litter complaint about fishermen leaving garbage on the ice after fishing. Telephone calls were also returned. CO Jeff Humphrey (Cromwell) checked angling activity on area lakes throughout the week. CO Humphrey responded to deer registration, trespass, OHV and trapping complaints, and spoke to students at a snowmobile safety class in Cromwell. CO Scott Staples (Carlton) reports a fair amount of fishing activity in the area. Fishing success is slow, but several anglers are trying their luck on area lakes. Anglers are still asked to be cautious when driving on area lakes. Car kill deer permits were issued and an incidentally taken fisher was taken to be used for educational purposes. An investigation was done on an area trapper that wasn’t checking traps when he was supposed to. Also a report of a deer being poached in the Alborn area was investigated. A deer was shot off the road and taken off of private property. Anyone that might have information on this case is asked to call TIP (800-652-9093) with the information. An investigation is still ongoing with deer parts that were dumped of an area road near Esko. Most of the meat was wasted on this deer. A trap theft near Nickerson is being investigated. Again, a call in to TIP with any information would be helpful on these cases. If the information leads to an arrest in any of these cases you will be eligible for a reward. Sgt. Keith Olson (Marine Unit) checked anglers on inland lakes north of Duluth. Lack of snow continues to keep snowmobilers frustrated and waiting. The ice conditions in the Duluth Harbor have deteriorated considerably making the ice unfishable for the time being. He received a complaint of vehicles racing and driving recklessly at the McQuade road public access. CO Matt Miller (Marine Unit) answered several questions about angling and ice conditions on the St Louis Harbor. Until cold weather solidifies the ice, please stay off! Year-end details were handled, and trapping issues wrapped up. Though the season is off to a slow start for snowmobiles, ice anglers are finding many opportunities on inland lakes. CO Troy Ter Meer (Marine Unit) worked small game, big game, angling, and ATV enforcement throughout week. He issued some road kill permits and worked on reports. He helped transfer some equipment for a search and recovery. CO Tim Collette (Pequot Lakes) spent time checking anglers on area lakes via ATV as the conditions are still not good for snowmobiles. Most anglers are also using ATVs as vehicle traffic is still not advised due to thin spots in the ice on some lakes. The officer also continued checking trappers with some reports of success on bobcats as the season winds down. CO Jim Guida (Brainerd) worked sport fishing enforcement checking anglers on area lakes. Violations detected were angling with extra lines, no license, no shelter information, and no angling license in possession. Some work was done explaining exempt registrations and collector permit for ATVs and snowmobiles. Officer Guida completed some equipment maintenance on both his patrol vehicle and patrol snowmobile for the upcoming snow conditions. CO Bob Mlynar (Aitkin) worked fishing and trapping enforcement during the past week. Incidental fishers were handled and follow up on a wolf depredation was completed. CO Mike Lee (Crosslake) spoke to anglers this past week who were reporting so-so success on area lakes. Officer Lee also received a complaint of wolves injuring cattle on a local farm. Due to the changing status of gray wolves the information was passed onto the US Department of Agriculture Wildlife Services for continued follow up into the incident. Officer Lee also received a complaint of litter being left in area on public land from the firearms deer season. Information located at the site lead to the location of parties involved with further investigation continuing. Enforcement actions taken this past week included no angling license, expired ATV registrations, and no shelter tag. CO Randy Posner (Brainerd) worked on fishing enforcement this past week. The ice anglers are out in full force and report the walleye bite is fair. The ice conditions are unpredictable and treacherous with pressure ridges forming and creating open water. Reports of numerous fish houses out on lakes and stuck in and frozen in the slush. He worked on trapping issues and reports of accidental fisher. The archery deer hunters report was poor but they continue to enjoy winter hunting. He worked with neighboring CO Tischler checking anglers. Complaints of unlicensed and no identification on fish houses were reported. CO Jim Tischler (Cuyuna Country State Rec. 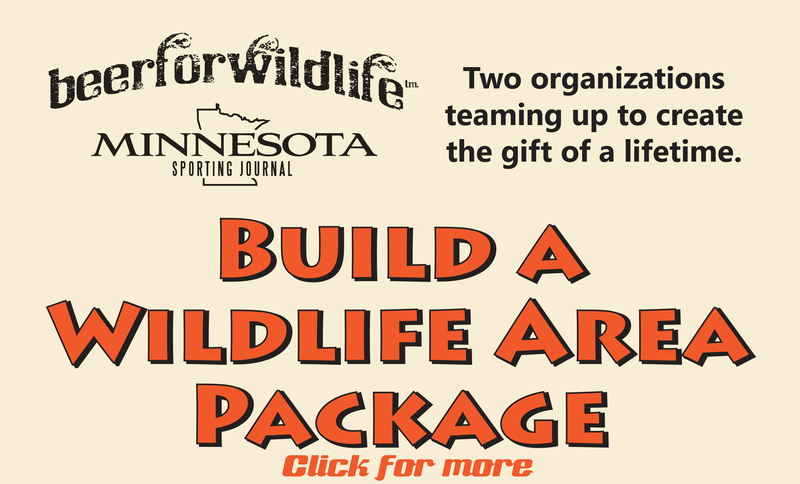 Area) monitored angling, and trapping activity in the Cuyuna Country State Rec. Area and Pillsbury State Forest. He also followed up on TIP and deer complaints. CO Greg Verkuilen (Garrison) reports warmer than average temperatures and precipitation are causing thin ice around inlets, current, and shoreline exposed to sun. Anglers were checked along with their ATVs and snowmobiles, which frequently generate the most violations. ATV laws apply when operating on public waters. There is a one-third chance your ATV registration will expire this week. CO Chris Tetrault (Isle) fielded a nuisance wolf call. Anglers were checked on area lakes. Ice conditions vary and local resorts or business should be consulted before venturing onto the ice. CO Dustie Speldrich (Willow River) closed a deer season case. The suspect was finally tracked down, interviewed and confessed to taking a deer without a license. Citations were issued for the violation. Speldrich investigated a trespass call, in a neighboring station, where a landowner located a blood trail, drag marks and a gut pile on their land. The drag marks left their land, went down the road and stopped at their neighbor’s garage. No one was home at the time so the call was transferred to the officer for that area. Speldrich investigated two littering complaints on area lakes. She also received an incidental fisher and calls of dogs chasing deer. CO Dan Starr (Onamia) continued with a trespass investigation, issued road kill deer permits, and took numerous calls on varying questions. A state park land issue is currently being looked into as well. Lack of snow is preventing snowmobile trails to be useable by snowmobiles; however, motor vehicles still need to stay off of them. A reminder to spear fishermen that only one hooked line is allowed when spearing. CO Bret Grundmeier (Hinckley) saw quite an increase in archery hunting during the warm weather over the Christmas Holiday. The increase in hunting activity brought with it an increase in trespassing complaints. Area lake ice thicknesses have been maintaining and most lakes are still unsafe for full-sized pickups or other large vehicles. Snowmobile trails remain inoperable due to lack of snow. Violations found included untagged deer, not having licenses in possession and fishing with a few too many tip-ups. CO Eugene Wynn (Pine City) spent time during the week checking anglers, ATV, and snowmobile complaints. He took calls on car killed deer, questions about ATV operation, and concerns with persons snowmobiling on the Snake River. CO Wynn also assisted the Pine County Sheriff’s Department with a suspicious person call. CO Luke Croatt (Wealthwood) checked fishermen on area lakes and Mille Lacs Lake. A few northern pike were seen around spear houses but the vast majority of fish caught throughout the week and weekend were perch and tullibee. Many fishermen reporting catching a lot of smaller walleye with a few slot fish in the mix. Time was spent teaching laws and safety at a snowmobile training class. Students were still excited about snowmobiling even without the white stuff on the ground. One student said he liked the idea of snowmobiling but doesn’t like snow. A call of an incidental fisher caught in a trap was also handled. Enforcement action was taken on ATV and fishing violations. CO Caleb Silgjord (Sauk Centre) started the week off with assisting the Shop with a Cop program in Sauk Centre. CO Silgjord accompanied a youth who got to pick out a special gift for Christmas from an area store. Assistance was provided to the county with a warrant arrest on an area lake. Anglers were also checked and ATV activity was monitored. Upon approaching one fish shelter CO Silgjord could hear the occupants talking about how “good their weed was.” After making contact with the anglers they immediately admitted to using marijuana. Enforcement action was taken. Other violations for the week included angle w/o a license in possession, ATV operator under 18 without a helmet, allow illegal operation of an ATV by a juvenile, and no ATV safety certificate. CO Todd VanderWeyst (Paynesville) reports ice condition vary greatly with trucks driving on the ice one lake with reports of ATV’s going through on other area lakes. Angling activity was busy over the holiday weekend. The officer also assisted other departments in St. Cloud with a search for a suicidal individual. CO Chad Thesing (Albany) worked anglers and deer season follow up. Angling success has picked up a bit on area lakes and many people were out over the holiday weekend. Enforcement action for the week included expired ATV registration and no license in possession. CO Rhonda Friese (Long Prairie) reports many shelters being removed from area lakes. There were a few anglers out. A reported deer violation is under investigation. WREO Keith Bertram spent the week checking fishermen, trappers, and ATVs. Enforcement action was taken for no license, extra lines, and illegally set traps. Follow-up was also conducted on wetland violations. CO Brian Mies (Annandale) last week checked anglers. CO Mies also worked on a trapping case. CO Mies checked aeration systems. CO Joyce Kuske (Little Falls) investigated fill dumped in wetland to create a road and picked up an accidental caught fisher from a local trapper. An investigation on a muzzleloader hunter turned up the most violations CO Kuske has had with one individual to include a deer over limit, an unregistered deer, lend/borrow deer license violations, an illegal scope on muzzleloader and false application for a husband/wife combination license. CO Paul Kuske (Pierz) conducted checks at home taxidermy businesses, which resulted in discovering record keeping violations and leading to further investigations of illegal taking of deer from this past season. Fishing pressure has been low, ice conditions are good, crappies and walleyes seemed to be the most common catch, lack of proper identification on fish houses the most frequent violation. CO Angela Londgren (Cambridge) checked anglers/spearing houses, small game hunters, snowmobiles, and archery hunters. Cases were made on trapping with exposed bait, deer hunting violations, tampering with traps, and unchecked snares. Officer Londgren also responded to calls of shooting from a motor vehicle, trespassing, dog in trap, sunken fish shelter, and injured deer. CO Todd Langevin (Center City) reports a busy holiday week. Many anglers were out over the holidays on area lakes. The colder temperatures made the lakes more accessible. Anglers still only found some success of bass and small panfish. The recent snowfall had the snowmobilers out on area trails. The area had only received a few inches of snow but the trails saw lots of use over the holiday weekend. CO Brent Grewe (Minnetonka) spent the past week checking anglers and monitoring ice conditions. CO Grewe continued to investigate complaints and captured an injured swan for a wildlife rehabilitator. Violations included failing to transfer snowmobile title, failing to display snowmobile registration and no snowmobile safety certificate. CO Vang Lee (ELCOP) worked ice fishing and snowmobiling activity in Scott County area lakes and trails. He patrolled wildlife management areas and took calls on nuisance animal complaints. He also answered questions on ice fishing regulations and firearms safety classes in the Hmong community. CO Scott Arntzen (Forest Lake) spent the week checking anglers, trappers, small game hunters and monitoring ATV and snowmobile activity. He investigated a TIP call and spent time doing follow up on a case from the deer season. Violations for the week included operating an ATV on a snowmobile trail, failure to display registration and no license in possession. WREO Adam Block (Metro) spent the week checking ice angling activity. WREO Block provided station information to the new officer assigned to the Prior Lake station. WREO Block also spent time updating wetland case files. CO Joe Kulhanek (Hastings) reports working anglers, small game hunters, archery hunters and trappers around the area. He spent time patrolling ATV activity with the Sheriff’s office. Injured deer calls were handled as well. Calls were returned to the public seeking information. Enforcement action was taken for angling without a license, unregistered ATV, and operating ATVs on a snowmobile trail. CO Anthony Salzer (Ham Lake) patrolled Anoka and Hennepin counties for angling activity. Officer Salzer assisted a local agency with an investigation and met with the Anoka County Sheriff’s Office. CO Jim Robinson (Slayton) spent the week working investigations, coyote hunters, and ice anglers. Deer and fish cases are being investigated. Ice conditions are poor with open water appearing the last couple of days on most lakes. 2014 remains a banner year for transporting loaded firearms to the very end. A complaint of pheasant hunters shooting a house and breaking a window was investigated. Replacement of the window was mediated. Enforcement action was taken for shooting coyotes from motor vehicle, transport loaded firearms, trespass, angle with extra lines, and multiple snowmobile violations. .
CO Craig Miska (Ortonville) reported ATV, ice fishing, pheasant hunting and trapping activity were monitored during the week. This officer continues to be amazed at the amount of litter being left at public accesses. A shooting from the roadway complaint was investigated. ATV violations were encountered. WREO Larry Hanson (Southern Region) continued to follow up on PW and WCA violations. A complaint from a landowner on a WCA violation was checked and was unfounded. Fishermen and pheasant hunters were checked on several WMA’s. CO Eric Schettler (Fairmont) monitored aeration systems that are having issues with keeping thin ice signage up to standards due to warm weather. Angling activity continues to be marginal with poor ice conditions. Open water areas along shore and in the middle of lakes are prevalent. Small game hunters and trappers were checked for compliance. One trapper reported leg hold traps being stolen. CO Mike Gruhlke (Jackson) worked pheasant hunters, trapping activity, coyote hunters and anglers. There is still open water on some area lakes within Jackson County. Gruhlke also attended the Jackson Snowmobile Safety class and discussed laws relating to them. CO Nicholas Klehr (Litchfield) spent the week checking ice fishermen and pheasant hunters who were taking advantage of time off over the holidays. Recently, anglers have not had much luck on area lakes. Enforcement action was taken for transporting a loaded firearm in a motor vehicle. CO Jen Mueller (Hutchinson) checked anglers and spear fishermen throughout the week. She answered questions on crossbows and investigated a baiting complaint. An inspection was done for a lake turning on the aeration system. CO Jeff Denz (Willmar) followed up on a trespass complaint involving an off-highway motorcycle. He checked anglers and ATV operators. CO Corey Wiebusch (Mankato) completed an investigation on a trapping violation. Assistance was given to a local state park on a theft violation. Pheasant hunters were checked. The officer also spoke at a snowmobile safety class. CO Chris Howe (St. Peter) reports checking anglers. Ice conditions remain highly variable, so most anglers are choosing to travel on foot. Many reports of thin spots covered with the recent snow. Most anglers are reporting only fair success. CO Luke Belgard (Faribault) checked angling, trapping, and small game hunting activity this week. ATV and snowmobile riders were monitored with more snowmobiles getting out with the recent snowfall. Caution should still be taken when venturing out on the ice. Poor conditions are being reported in some areas. CO Brent Ihnen (Waseca) spent the week checking anglers, pheasant, and deer hunters. Additional time was spent checking snowmobilers and ATV operators. Officer Ihnen also investigated a dumping complaint at a public water access. CO Steve Chihak (Spring Valley) spent the week working trapping activity, and completing cases from the deer hunting season. Requests from the public seeking information were returned. WREO Julie Siems spent time on ATV and snowmobile enforcement along with other usual tasks. CO Tyler Quandt (Red Wing) reports spending the week checking ice anglers and working on cases related to deer license issues. Ice anglers are struggling to find fish in most areas. Time was also spent talking a snowmobile safety class. CO Scott Fritz (LaCrescent) found coyote hunters had some success this past week. Trappers are still hard at it. Warm temps and a rising river have changed some backwater ice conditions. Make sure to check ice thickness before going out fishing. Panfish and northern are biting well. Enforcement for the week included no angling license in possession and no life jacket. CO Tom Hemker (Winona) reports spending the week checking fishing, both open water and ice, and checking goose hunters in Rochester area. The ice during the week was poor in areas with several places open water. Hemker also had several injured animal complaints and had a job shadow ride along. CO Kevin Prodzinski (Wabasha) reports working ice fishermen and late goose hunting enforcement as well as checking several archery deer hunters. Ice conditions vary with the heavy wet snow received during the week but several nice fish were found in the backwaters. Goose hunters were having some success during the snow events and success is improving with the snow cover. Enforcement action revolved around license and equipment violations. CO Mitch Boyum (Rushford) reports fresh snow has the coyote hunters out. Archery hunters have also been out mostly doing deer drives and having some success. CO Boyum has been registering otter for trappers and checking a few snowmobilers. Time was also spent looking into invalid license cases.